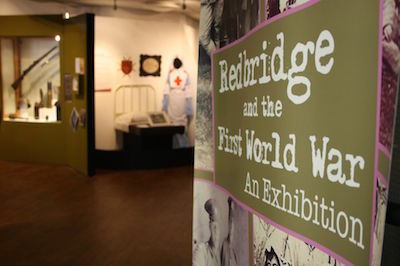 Between 2014-2018, Redbridge Museum commemorated the centenary of the First World War with a wide-ranging programme. 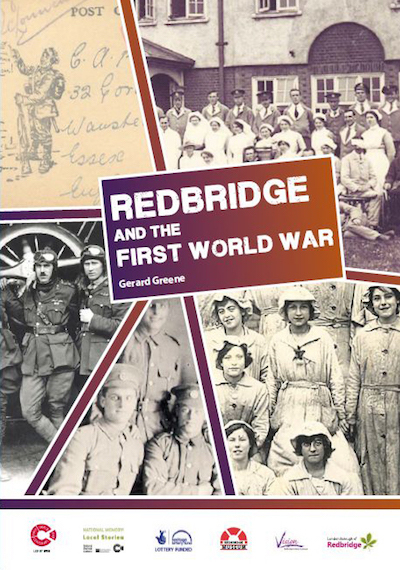 This newly published book by Gerard Greene of Redbridge Museum uncovers some of the impacts of the war on the local area. Based on new research and many previously unpublished sources, the book explores how the war affected local life, the international nature of the conflict and the family histories of today's Redbridge residents. Featuring a wealth of photographs, archives and personal family papers the story is told through the words of the people who were there. The book is available from the Museum for £4.95. This major exhibition by Redbridge Museum uncovered some of the local impacts of the First World War. The displays featured a wealth of historic objects, photographs and personal family items, many on display for the first time. The exhibition also included films made by Wanstead High School students and artist Victoria Lucas, working with the Museum and the National Portrait Gallery. 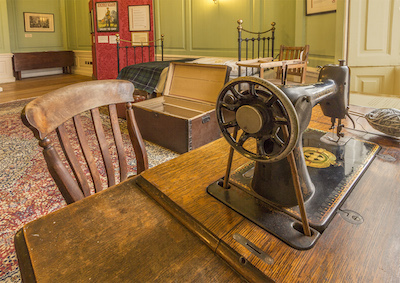 This Redbridge Museum exhibition explored the experiences of the several hundred Belgian refugees who were housed at Valentines Mansion during the war. This mini-library travelled to festivals, schools and other locations. 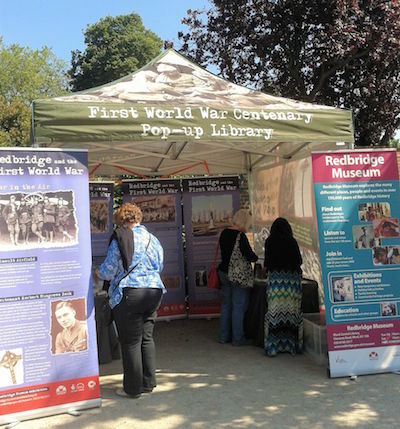 It featured a small Redbridge Museum exhibition, Library books and resources, a display of stereographs by local resident Paul Conway and special performances by storyteller John Kirk. Across Redbridge, a wide range of events, talks and displays were held by different groups at venues including Ilford War Memorial Gardens, Ilford Hospital Chapel, Kenneth More Theatre, Redbridge Drama Centre, Redbridge libraries, Valentines Mansion and Wanstead United Reformed Church. In addition, poppies were planted in Clayhall Park, Elmhurst Gardens, Goodmayes Park, Ray Park, Redbridge Recreation Ground, Roding Valley Park, South Park and Valentines Park.